West Hartford Center’s newer retail district, Blue Back Square, features a five-building complex that blends retail and residential living space on a large scale. Since its opening in 2007, the development has significantly altered the Center and established West Hartford’s status as a regional dining and shopping destination. 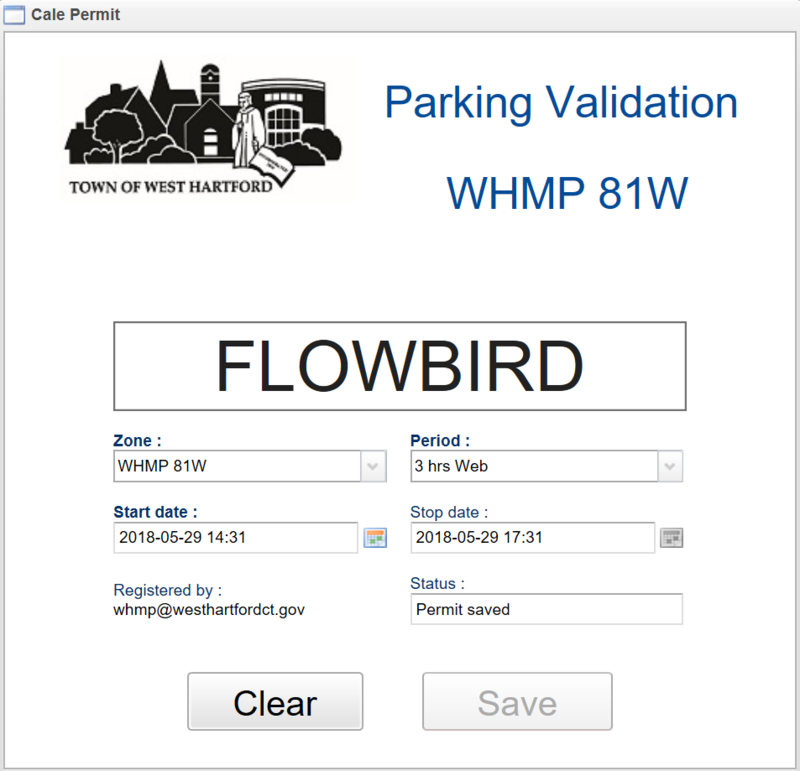 To better manage the parking flow, the town partnered with Cale America (now part of the Flowbird Group) in 2014 to provide a solution that would improve customer experience. 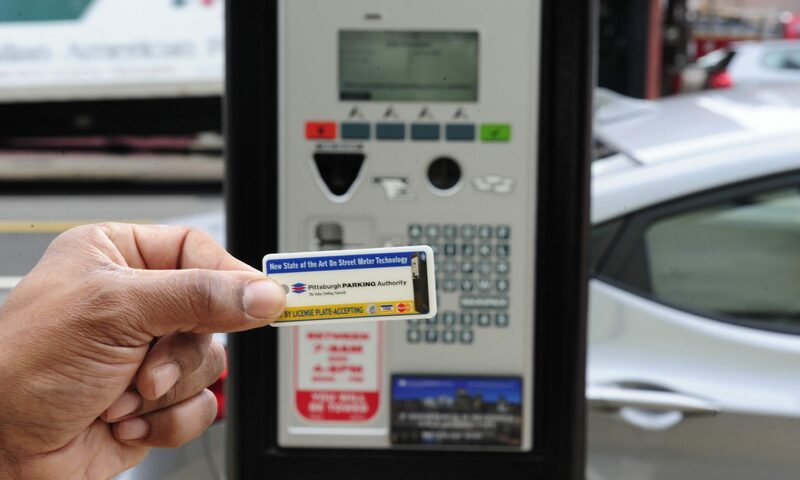 52 Cale CWT Pay-by-License Plate kiosks were installed on-street and surface lots, leaving additional paid parking available at parking garages using a gated barrier system. After a few years, business was booming and with it, higher traffic volume in the streets and parking garages. The antiquated, access and revenue control system was slowing down traffic, inconveniencing visitors to get to their final destination. Aligned with its goal to enhance customer convenience, the town of West Hartford was faced with the challenge to modernize its parking infrastructure once more. Did the answer lie beyond the gate? Traffic jams: Occurring at least twice a day at the beginning/end-of-day flow. Events: Long lines creating a bottleneck effect at peak times, causing frustrated customers. Off-Duty Attendants: If booth attendants are not present in a not-automated system, gates would have to be raised, potentially losing revenue. Broken Gates: Frequent occurrence causing repair costs and potential lost revenue. Validations: Human errors when manually validating tickets. Theft: Always a potential in a non-automated system where validations and cash are manually processed. In 2016, The Municipal Parking Division for the Town of West Hartford set out to find a better solution to the gate system. Brooke Nelson, Operations Manager, started at the beginning. Who are the West Hartford customers and what are their specific needs? “Our business [The Municipal Parking Division] is to provide parking services to everyone who works, lives and plays in the West Hartford Center”, said Nelson. In addition to new visitors, there were still current residents and employees who needed simple solutions to park. Short-Term parking would be needed for the events that brought in hundreds of visitors to the West Hartford Center, along with those coming to shop and dine at Blue Back Square. It would also be needed for valet parking from a newly constructed hotel. Permits would be required for residents of West Hartford (either pre-paid or billed), plus permits for the Town’s employees. Improve Quality, Repeatability and Accountability. Nelson reached out to Cale America, the worldwide parking solution company she partnered with in 2014, to fine-tune this modern approach. The team at Cale confirmed Nelson’s hopes that the town could finally rid of the paper permit and validation system, turning it into a new Digital Permit Program that included ePermits and eValidations. ePermit is a digital method to authorize and track permit parking without needing a physical pass. 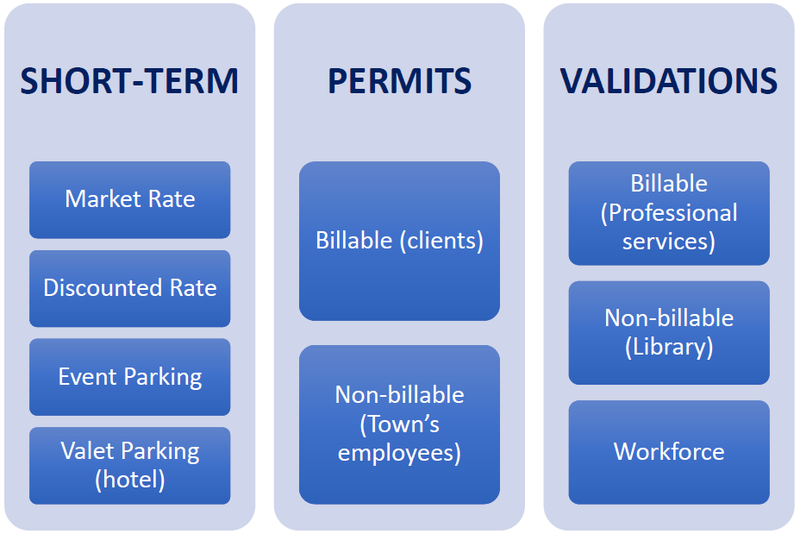 For the case of West Hartford, 2 types of ePermit options would be necessary; billable permits and non-billable permits (town employees). In both cases, a license plate would be registered when applying for a permit. Vehicles could enter and exit the parking garage freely 24/7 using enforcement via mobileLPR. eValidations could be used to pay parking fees by a 3rd party, all performed digitally. eValidations for Business via a webform: Rather than validating a paper ticket with a magstripe, stamp or decal, which could potentially be abused, businesses could validate parking for customers digitally through a secure webform. Using a customer’s license plate number, parking can be validated quickly, all with no effort from the customer. Nelson explains that providing eValidations in this form was necessary. Several businesses don’t want their clients to be bothered with validating their own ticket and would rather take the hassle away to do it themselves. The same method could be used to validate employee’s parking. eValidations via Tablet: Designed for visitor input, eValidations can also be performed through a tablet. In situations where parking is validated for 2 hours, such as that for West Hartford’s Noah Webster Public Library, a customer simply walks up to the tablet kiosk, enters their license plate number and a 2-hour parking session begins. This information is relayed in real time to enforcement and LPR. In June of 2017, the Town of West Hartford went officially, “Gateless,” removing the physical barrier in all main parking garages and implementing the Digital Permit Program. In 1 year, The Town of West Hartford succeeded in creating a system to service diverse clients and patrons, reducing operating costs and improving quality. Nelson reports that there are now virtually no lines in travel lanes to flow in and out of the garage, causing consumer satisfaction to increase drastically. In addition to fast entry and exit, multiple parking terminals are located throughout the garage to initiate parking. Customers have multiple payment options for convenience including; coin, credit card and mobile app payment. As Nelson explains, “It’s not about the money. It’s the visitor and patron experience.” Nelson and her team at the Municipal Parking Division continue to receive feedback from clients and patrons. visitors. The portable tablets are used on occasion when the Library has an event (e.g. lecture) and they need to process a large volume of attendees. “This is an example of the robust and scalable application [digital permit program]”, said Nelson. Operation costs have decreased in both maintenance and labor with the gateless system. Nelson reports that with the previous system, the town would resort to lifting the gate after an event to keep from an extensive line forming and frustrating visitors. Money would be lost from each car leaving the garage. No staff is on duty 1am to 6am, leaving the gate raised during those hours. In the past year going gateless, staffing costs have reduced drastically and less money was lost. “Staffing the parking garage booth was a work-in-progress with the gate”, explained Nelson. Employee turnover diminished funds and quality staff was hard to find. Additionally, if a booth attendant was out sick or didn’t arrive, the gate would need to be lifted, losing revenue from every car exiting the garage. Now, the system is self-sufficient requiring minimal maintenance, tracking every vehicle entering and exiting the garage. Using the new data-driven solution, the town of West Hartford upgraded from a manually operated system, to a gateless, cloud-based process. The system, accounting every vehicle on premise, created reliability for both the consumer and the Parking Division. Using the Digital Permitting System, combined with the adaptable technology of the Cale CWT Pay-by- Plate terminals, data is accurate and accountable. Using this system since June of 2017, Nelson has been able to track which parking garages have more traffic and more specifically, which terminals are most utilized. “We can watch the numbers and add new terminals easily depending on traffic”, said Nelson. Today, garage transient performance continues to steadily increase as visitors adjust to a new, dynamic parking structure. Nelson reports that the businesses and visitors of West Hartford have each found a process that aligns with their needs, responding with approval for the new, modern system. With the help of Cale’s digital permitting solutions, The Town of West Hartford has put consumers again in charge of their parking.